I was recently given the opportunity through Brandbacker to try out these new Studio Gear True Whipped Stain Gloss. 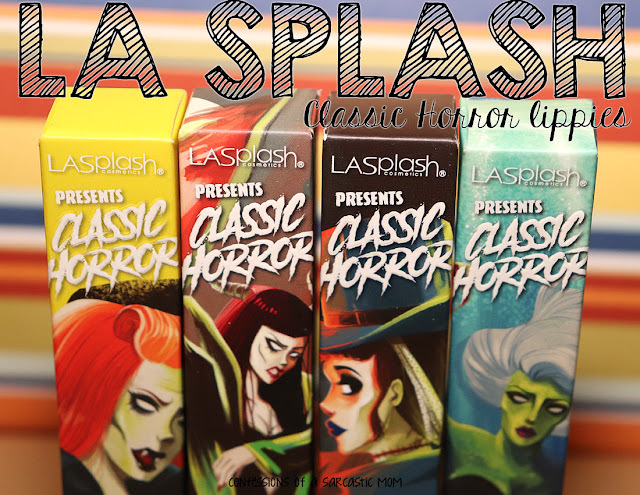 I'm a huge lipstick/stain/balm collector at the moment, and these fit right into my routine! They are easy to apply, and the colors pop! 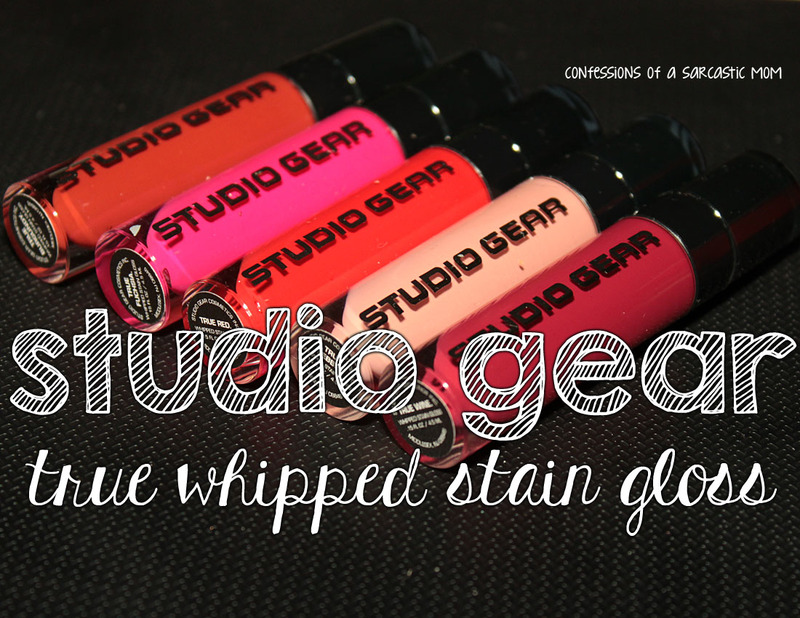 These Stain Glosses are thick enough to bring the color, but light enough for wonderful wear! Studio Gear whipped these together with powerful stay-all-day color! One coat generally works for me, with the exception being the deepers hues. I have issues with deeper hues in every lip product, tho, so that's not anything for me. My lips stayed moisturized while I wore these - and I even wore one to a mother-daughter banquet I had the other night. I had lots of compliments on not only the color, but the opacity! 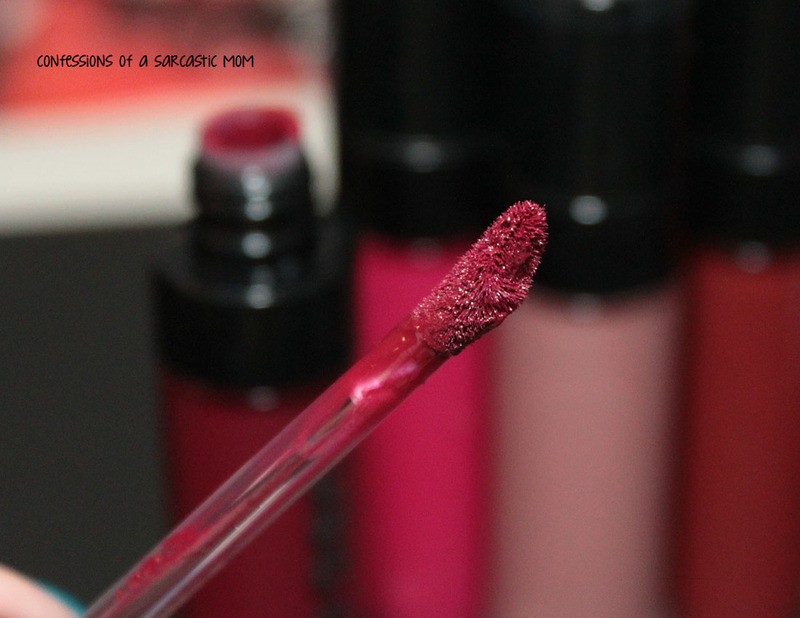 They are applied with a doe-foot applicator, and it melts into your lips as you swipe it! Here is a look at one swipe of each color on the inside of my arm so you can see side-by-side how they look. 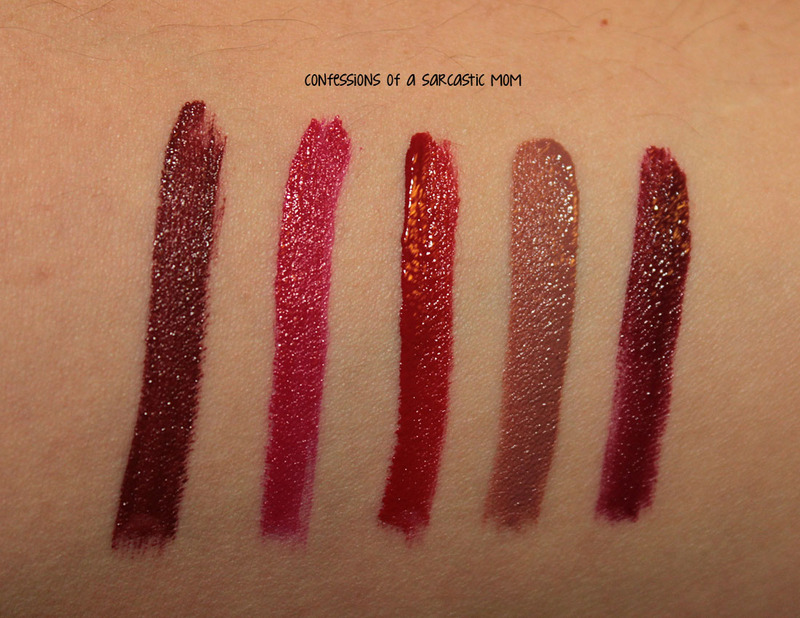 The names are, from left, True Burgundy, True Fuchsia, True Red, True Pebble and True Wine. Of course, I thought True Wine would be my favorite, but I was very surprised to find that I like True Fuchsia the best! Overall, I do love these, and I recommend everyone to try them! I'm not sure if I like this one on me or not. I think the color is super pretty, but I think maybe it doesn't go with my skintone as well as the others. If you notice, I bumped it right in the front there, and it looks a little off, but that's ok! But just see how rich the color is? It's so perfect! You can see how this one tended to wander just a bit. This one is my favorite!! I forsee myself wearing this one over and over. I'm usually not a pink fan, but this is just enough outside the pink realm that I love it. It really leans a vibrant purple! This color is just so in-your-face! I wore it over to my son's school this afternoon for something, and I felt like everyone was staring at my lips haha! It lives up to its name and is a true red! I think True Pebble isn't a very workable shade for me. It looks so grey on me, doesn't it? But even if I don't like the shade on me, there is somewhere out there who will adore it - and the formula is still just as great as the others!